Have you ever wanted to go to the highways and hedges – and pray? It is surprising how open people are to prayer! People who do not attend church, at least regularly. In fact, people who doubt, have questions, but are facing some formidable challenge. Suddenly, they become open to God and faith. 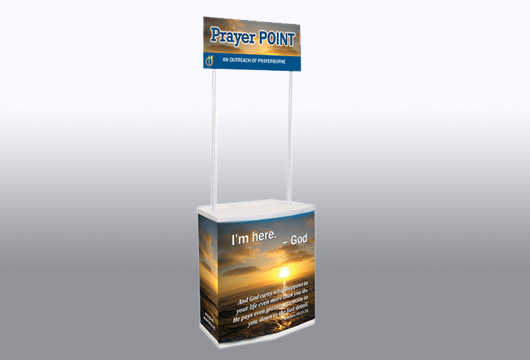 A prayer kiosk provides visibility. 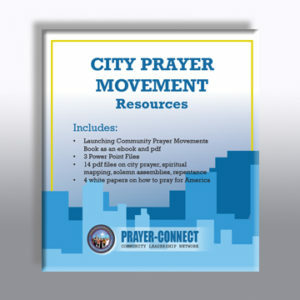 It creates the physical space that invites prayer. It is portable, light, easily assembled and then disassembled. It can be personalized, phone number and website. It has shelving for tracts, Bibles, other handouts. 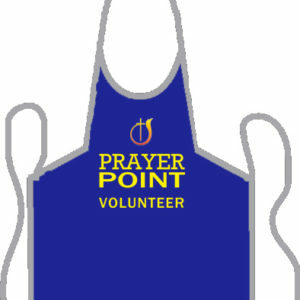 Prayer team aprons and t-shirts can be ordered. The stand comes with a number of different designs. It is a visible indicator – it gives some sense of propriety, that just encountering someone in the aisle of a flea-market, or on the street, does not provide. It establishes legitimacy and convention. 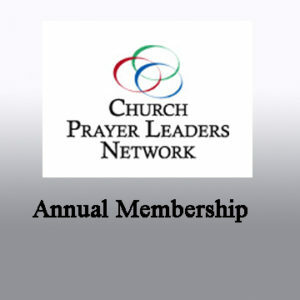 Giving the ‘gift of prayer’ may be one of the few ways we have left to introduce people to God. 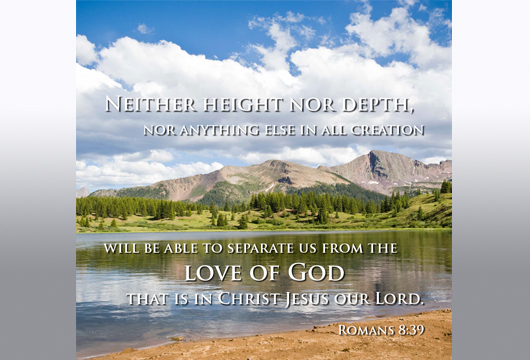 We talk to him, in their behalf. Doubting, they listen. Uncertain, they are infected with our faith. 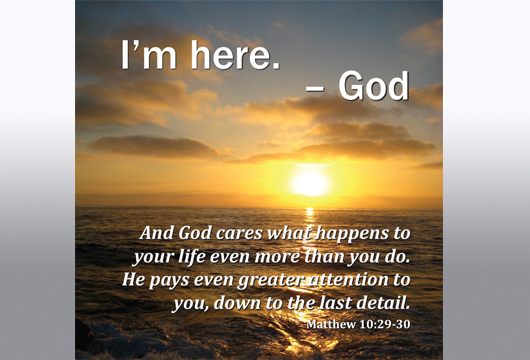 Questioning, we pray with certainty that God is ‘there’ and that he hears. Hesitant, we are sensitive to their indecision and potential disdain, their fear of being embarrassed, their wariness. But we know, that we have just opened the cosmic door. And now the stage is set for God to show himself alive, to reveal himself as interested in them – as the loving God we know Him to be. We have just been, in a very gentle way, salt and light. – Cloud Scene. 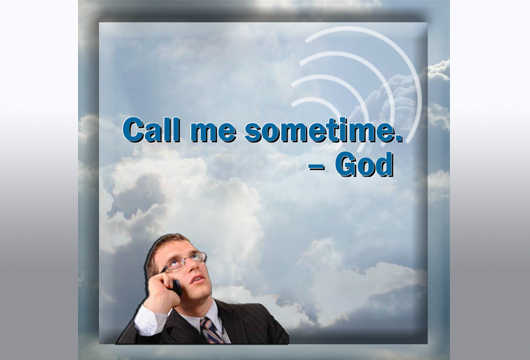 Verbiage: Call me sometime. -God. – Creation of Adam Scene. 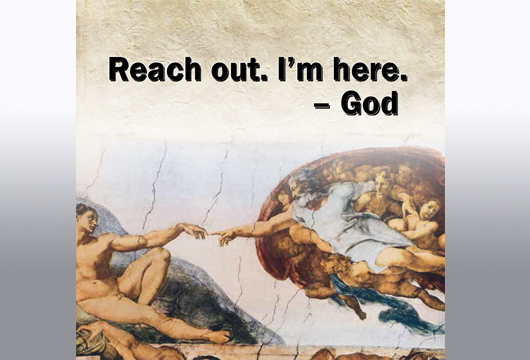 Verbiage: Reach out. I’m here. -God. Or your own personalized information. 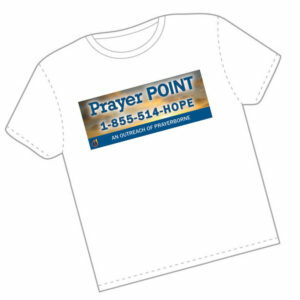 *Please contact us at info@projectpray.org to preview a detailed look at these designs.